We are the ordinary members of the Labour Party. We are the people who didn’t join as a career option, the people who don’t benefit from the fabulous pension arrangements or generous expenses. We joined for no other reason than to support a party we believe is dedicated to creating a better, fairer country. Many of us are active in our local branch, come election time many more of us volunteer to deliver leaflets, knock-on-doors and man phone banks. But probably most importantly of all, everywhere we go – in our workplaces, pubs, bowling clubs, local football teams – when the conversation turns political, we stand up for, we argue for, the Labour Party and its values. In communities across the country we are the voice of the Labour Party. We do all of this free of charge because we believe in something. 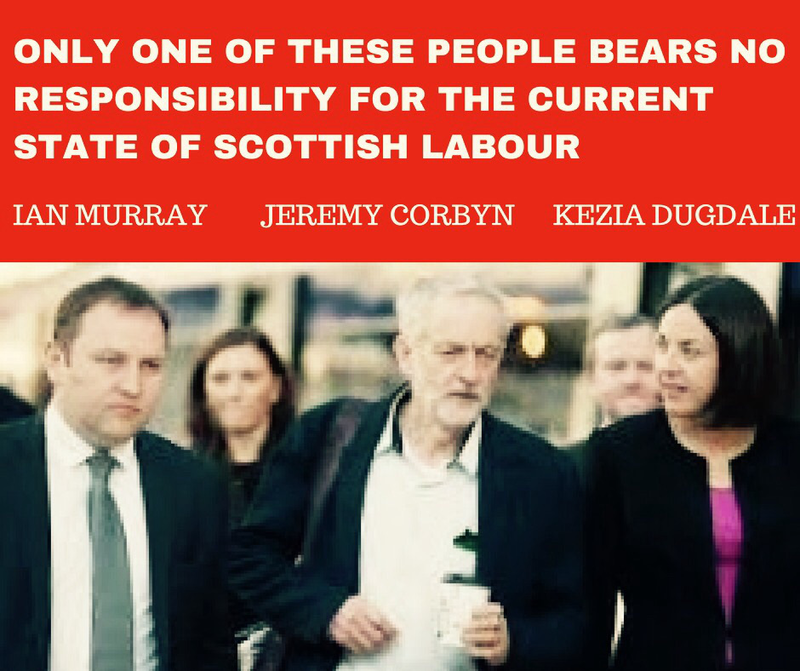 And the fate of the Labour Party is now in OUR hands. Ten months ago we elected Jeremy Corbyn as leader of our party. You made it perfectly clear in the run up to that election how unhappy you would be if that happened. We did it anyway. Once again you are making it clear that electing Jeremy Corbyn is (to put it mildly) not your preferred option. Yet, if opinion polls are correct, it looks as though we going to do exactly that. And what is your response to this? Do you show some humility, listen to us, engage with our concerns, perhaps wonder if your high-handed arrogance might be part of the problem? No. Instead you abuse us. You call us ‘dogs’, ‘Trots’, ‘a rabble’ and ‘entryists’ (despite the fact many of us have been in the party since before some of you were born). You attempt to use the statements / actions / behaviour of a few (whose connection to Corbyn is often tenuous) to smear thousands of honest, hard-working, conscientious party members. WE ARE NOT THE PEOPLE YOU ARE DETERMINED TO MISREPRESENT US AS. We are teachers, dinner ladies, cleaners, shop workers, nurses, accountants, van-drivers and represented in every job category you can think of. Among other things, some of us are married, not-married, parents, childless, gay, straight, transgendered, Jewish, Christian, Muslim, and we don’t divide people on the basis of ‘normal’ and ‘abnormal’. Obviously Jeremy Corbyn will not be the leader of the Labour Party for ever. Regardless of the circumstances which bring that about, for us, he will always be a hero of the Labour Party: a man of principle who has dedicated his life to creating a better, fairer world. He certainly didn’t deserve 171 stab wounds in the back and one in the front from Jess Philips, MP, for the sole crime of being elected leader by us. You keep telling us there is no point in principles without power. Your behaviour in relation to Jeremy Corbyn has perfectly demonstrated to us that you seek power but have no principles. And until that changes, I’m afraid most of us will not be listening to your advice with regard to our future leader. Many, many Labour Party members. This entry was posted in Blog, Legal, The Purged and tagged in glasgow for corbyn, iain mcnicol, Labour Purge, letter, what can I do?. « PURGED AGAIN. KNEW IT WAS COMING, WHAT CAN YOU DO AGAINST IMBECILIC IMPERIALIST TYRANTS? I feel like posting things on social media just to get noticed by Labour Compliance Unit.